On a very cold summer morning about 330am, the Milky Way rises over the iconic Byers Peak. The temperature was around 28 outside, and frost was on the ground. This image is a composite of two individual photographs. First, the Milky Way was taken using a star tracker. This allows for longer exposures while eliminated star trailing, leaving the stars as sharp pinpoints of light. The second exposure was taken of the foreground about 45 minutes before the first light of day. 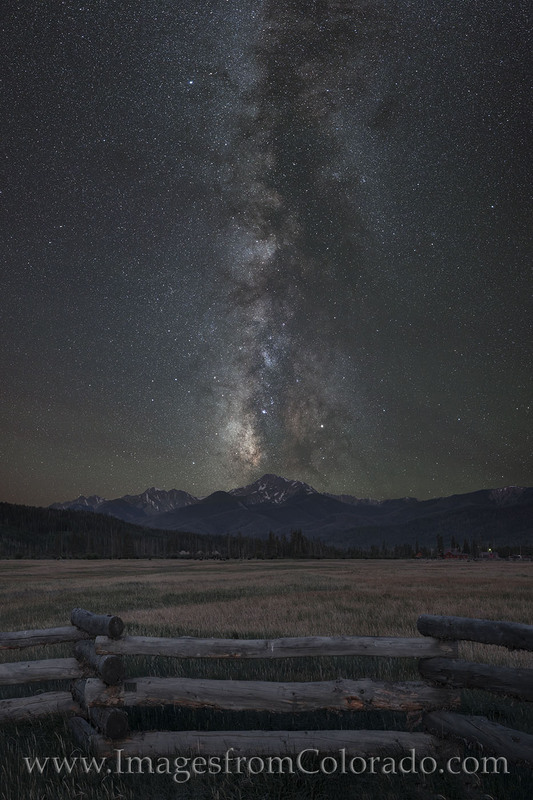 This allows some definition in the image and brings balance between the landscape and Milky Way. Photo © copyright by Rob Greebon.